Welcome and thank you for visiting Carpet Cleaning 352. ​We have been professionally cleaning carpets, upholstery, grout & tile, Oriental, Persian and Area Rugs in Spring Hill and Brooksville for many years. You can put your trust in Carpet Cleaning 352. We provide exceptional service and outstanding value. All of our services are satisfaction guaranteed. Due to normal wear & tear your carpet, flooring and furniture can start looking dingy and dull. At Carpet Cleaning 352, we use a process that is completely safe yet aggressive enough to remove the stains, odors, pollutants and dirt that gets deeply embedded within your flooring and furniture. Our carpet cleaning process removes stains and soil that other cleaners leave behind. The water based cleaning solutions which we use are safe for pets, people, and the environment. Our thorough cleaning process uses less water, which allows your carpet to dry faster, letting you get back to your life sooner. When we arrive at your home, we'll discuss the services being provided. You will know exactly what steps we will take. We'll move any furniture to provide a thorough, deep cleaning. We may not be able to move all of your furniture such as beds, entertainment centers or over-sized furniture. Our powerful vacuum removes the loose soil, then our cleaning solvent penetrates the carpets fibers to gently loosen trapped dirt and tough stains. Then, we gently release the dirt and moisture with our powerful machine and specially designed absorbent pads, which clean and dry the carpet. The last step is to rake the carpet with a unique carpet rake. This helps the carpet fibers stand up, the carpet dries evenly and will help make your carpet look like new. Due to our experience with Oriental rugs which require extreme care, you can rest assured you are getting high quality cleaning. If you want unsightly stains removed from your Oriental/Persian or Area rugs call Carpet Cleaning 352 today to schedule an appointment. We provide many efficient methods of area rug cleaning services to meet the requirements of our clients. Our experience with Oriental rugs ensures we know the right way to care for your area rugs. Rugs that are hand-made require a gentle detailed cleaning method to ensure that no damage occurs. Call us today and you will see why we are the Spring Hill carpet cleaning company to trust for area rug cleaning. Put that dirty mop away! There is no need to swirl that dirty, sloppy water around on your tile and grout floors making them to look worse than when you started. When your grout and tile become dull, disgusting and dirty call Carpet Cleaning 352. We have been cleaning household and commercial tile and grout for a multitude years in Spring Hill and the surrounding areas. Tile and grout cover a variety of areas in your home, from the shower to the kitchen floor and entry way. The tile and grout becomes soiled from many different sources. In the bathroom, moisture in the air causes mildew, in the kitchen it can be grease caused by food spills. The entry way is the highest traffic area which leads to a build up of dirt & grime. Carpet Cleaning 352 covers tile and grout cleaning for all these areas. 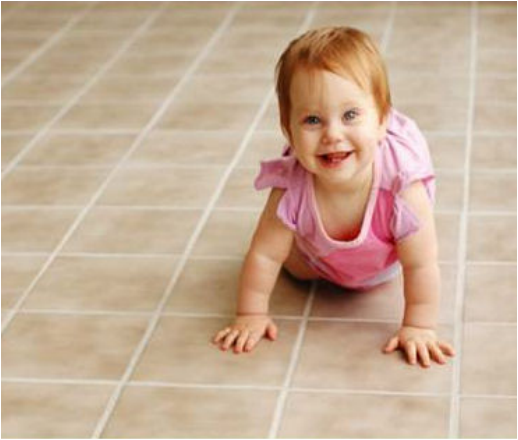 Tile and grout manufacturers recommend that it should be sanitized and sealed every 2 to 3 years. Instead of breaking your back and bruising your knees cleaning the floor, let us clean it for you. If you're taking the initiative to have the carpet and tile in your home cleaned, why not let us clean the dog's recliner, come on, we all know who's recliner it really is! How about the love seat, and sofa too? Your upholstered furniture becomes soiled with body oils, sweat dirt and dust. Like the flooring in your household or business, your furniture will last longer when it's cleaned professionally. We can give new life to your furniture. Our powerful cleaning system gently restores your furniture to a condition that you may have not thought possible. The dirt, sweat, body oils, dust, crumbs, and other mystery items will be sucked out, leaving a clean, renewed surface. Our team will take the time to determine the type of material your furniture is made out of and then use the most efficient cleaning method. You'll be in awe at how quickly your upholstery is looking like new. Our system reduces drying times depending upon the fabric type. If you choose, we can also protect it, which will help keep sweat and body oils from penetrating into the fiber. Carpet Cleaning 352 is one of the leading providers for water damage and mold remediation. 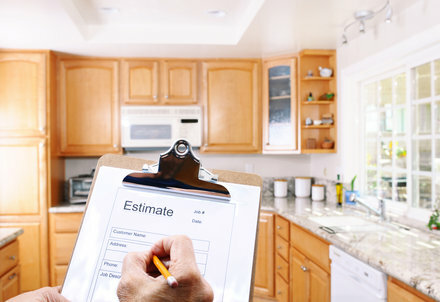 When you need fast and efficient services, you can rely on our licensed remediation specialists for a speedy response time and outstanding service. Let the experts at Carpet Cleaning 352 return your home to its original condition. We take care of mold removal and water damage. We provide comprehensive remediation and restoration services for homes and businesses of all sizes throughout Spring Hill, Brooskville, and the surrounding areas. When disaster happens without warning, you can rely on Carpet Cleaning 352 for the professional help you need. We will arrive at your home or business fully equipped with the right tools to provide the fast cleanup and remediation services you need. Our goal is to fully restore your property back to its original condition. ​Our certified, licensed, and experienced technicians are IICRC certified and fully trained and provide the expert services you need. We go above and beyond to exceed your expectations by delivering exceptional services with a fast response time. We are professional and courteous and, we always provide the friendly and compassionate approach you deserve in your time of need. ​For fast, affordable and reliable carpet, upholstery, Oriental, Persian, area rug, tile & grout cleaning or water damage services in Spring Hill, Brooksville, Hernando and Pasco Counties, call us now at 352-631-7100, or submit our convenient form!